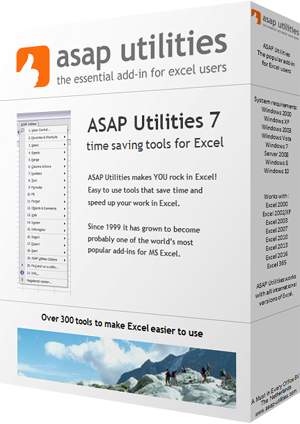 This utility creates a new workbook that reports the data types of your current worksheet. The new workbook is a copy of your worksheet without the actual data but where the cells with formulas, numbers, text and external links are marked with different colors. This can for example be useful to quickly see the structure of your worksheet and see where formulas are used.